Several parts of Canada have faced long periods of drought in recent years due to climate change. Yet Nestlé, a giant bottled water corporation, continues to pump hundreds of millions of litres of groundwater every year from aquifers in Ontario and British Columbia. In Ontario, Nestlé pays less than one-twentieth of a penny per litre of water and then resells it for up to $2 per bottle. Every year, Nestlé ships hundreds of millions of single-use plastic bottles out of the community for sale all over North America for huge profits. Join the boycott to stop Nestlé’s bottled water grab! In 2016, Nestlé bought the Middlebrook well in Elora, Ontario – despite the local municipality’s attempt to purchase it to safeguard their municipal water supply. Nestlé is already allowed to pump up to 4.7 million litres of groundwater every day from two nearby wells on expired permits. Downstream from Nestlé’s operations, many people from Six Nations of the Grand River do not have clean, running water. Under the UN Declaration on the Rights of Indigenous Peoples, governments are required to obtain free, prior and informed consent from Indigenous peoples for water projects like this. Nestlé has been making profit by pumping groundwater all over the world. Communities are standing up and saying “no” to Nestlé’s water grabs and profit making off of a shared community resource. Nestlé’s operations in British Columbia have also stirred up opposition from communities trying to protect their water. Despite the 2015 drought, Nestlé continues to extract 300 million litres per year from a well in Hope, located in Sto:lo Territory. The well connects to an aquifer that approximately 6,000 nearby residents in Hope rely on. Groundwater resources are finite. Droughts, climate change and over-extraction continue to impact our limited water sources. At this pace, we will not have enough for our future needs. Wasting limited groundwater on frivolous and consumptive uses such as bottled water is irresponsible. We must not allow water supplies to be depleted for corporate profit. 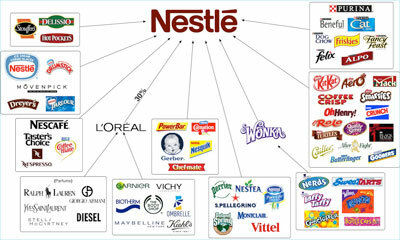 Take the Boycott Nestlé pledge to to protect water for current and future generations. The Council of Canadians calls for a ban on bottled water products where potable water exists. There are routinely over 100 drinking water advisories in First Nations where bottled water is used as an unsustainable, short-term solution. The Council of Canadians calls on the Trudeau government to allocate the funding needed to end these drinking water advisories.